by Ori Hofmekler Author · Harvey Diamond Author of introduction, etc. Along with the many benefits of leisure-class living comes obesity and its attendant ailments. 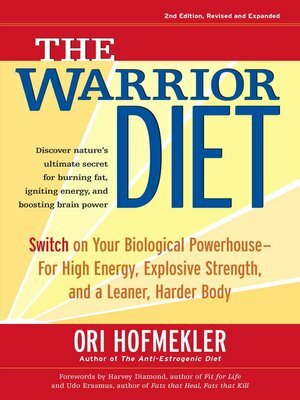 In The Warrior Diet, Ori Hofmekler looks not forward but backward for a solution--to the primal habits of early cultures such as nomads and hunter-gatherers, the Greeks, and the Romans. Based on survival science, this book proposes not ordinary dietary changes but rather a radical yet surprisingly simple lifestyle overhaul. Ori Hofmekler is a well-known political artist and health expert. The founder, editor, and publisher of the national health and fitness magazine Mind and Muscle Power, he is the author of The Anti-Estrogenic Diet and Maximum Muscle, Minimum Fat.